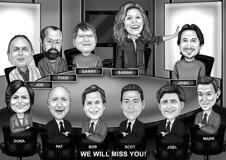 Would you like to make a memorable gift to your staff members and colleagues? Get a fantastic group caricature which will be designed according to your own profession or hobby, which is united you all. 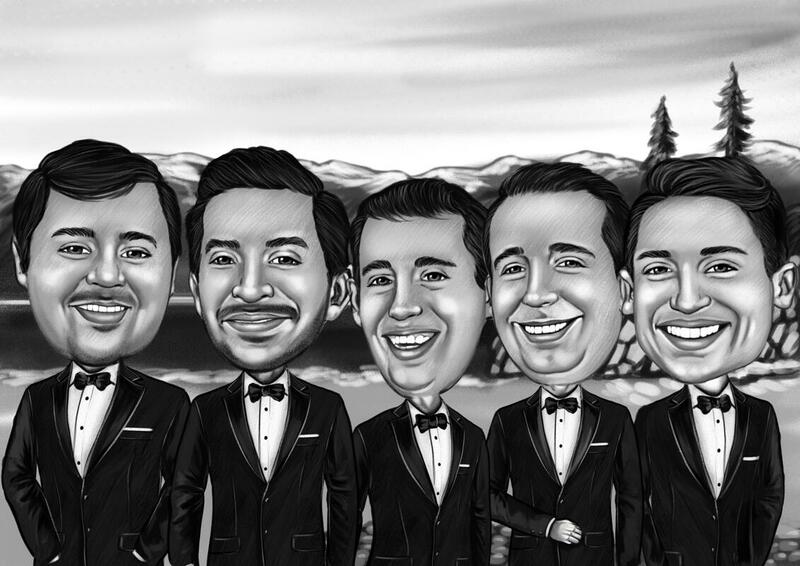 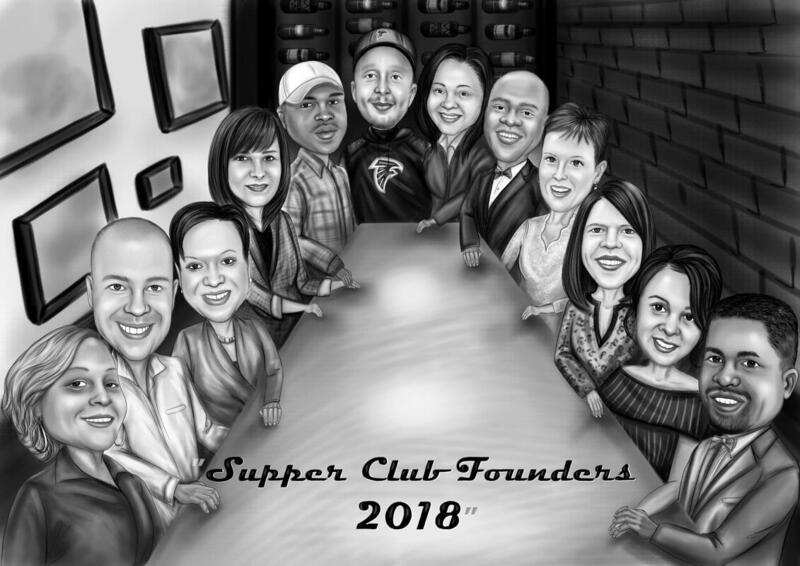 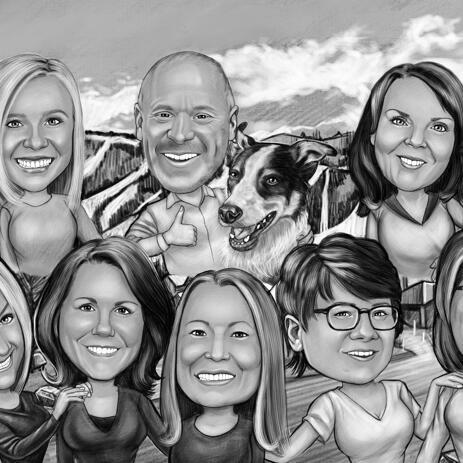 Caricature will be hand-drawn from photographs, in monochrome digital style, so it can be printed multiple times on any surface, thus making a personalized gift for each group member. 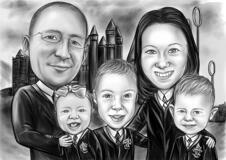 Our artist can draw any kind of profession and realize any of your ideas. 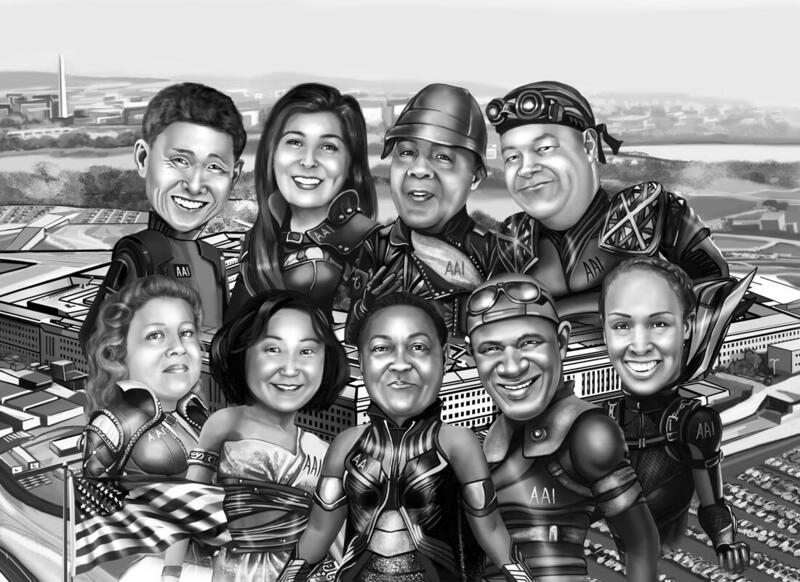 Upload a high quality photo of each team member and describe in details your occasion, pose ideas, background ideas and everything that you would like to get depicted. 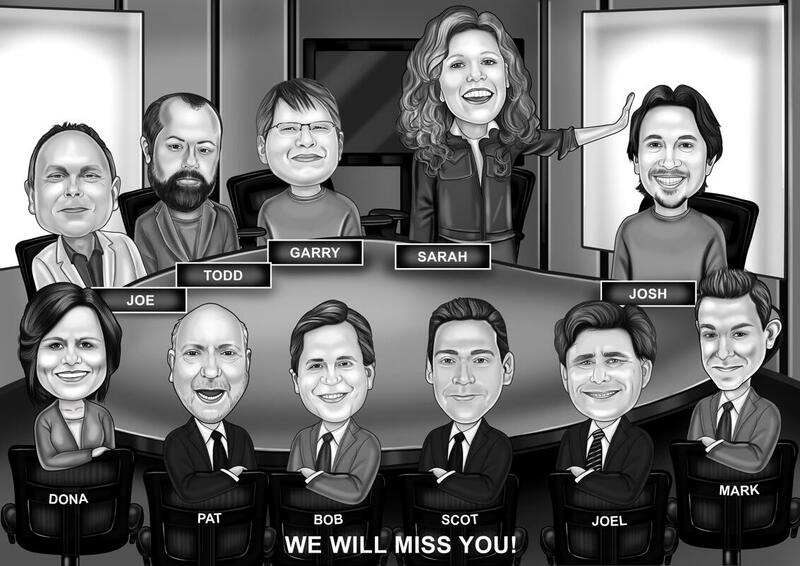 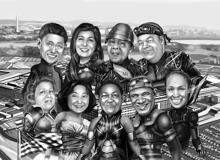 Digital monochrome digital caricature of a group will be delivered as a ready-to-be-printed JPG File to your Email. Additional delivery options: Digital caricature in monochrome style printed on Canvas or Photo Paper.